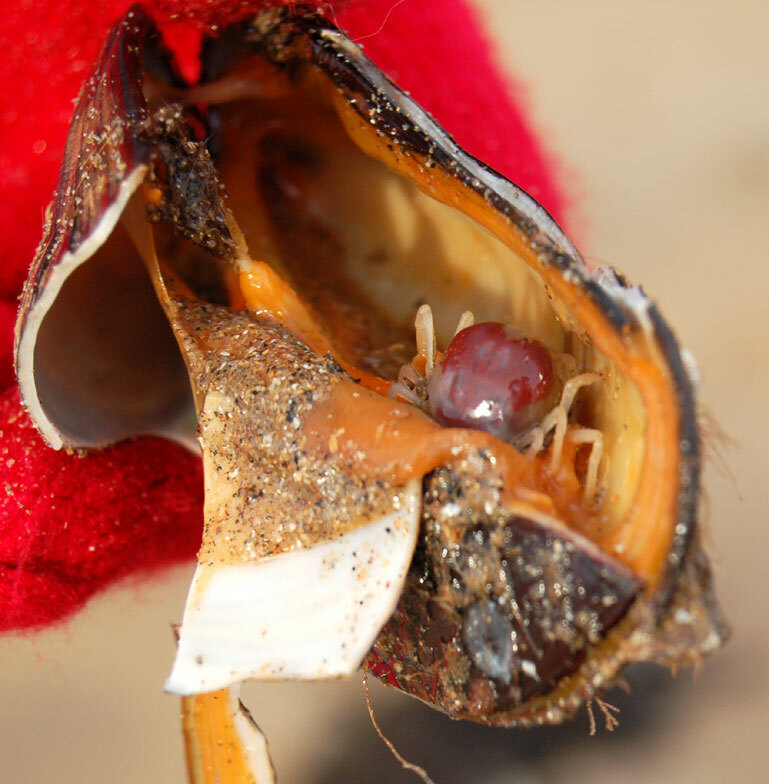 This crab, as its name suggests, has a shell the size of a pea. Or, at least the brown male Pea Crab has. This is the crab that can be seen swimming in estuaries over mussel beds. It the most active swimmer of all the British crabs. The female is quite different. She is almost twice the size of the male and usually yellow with a bright red blob on its soft shell. She is hardly able to crawl and cannot swim. She does not need to because she spends her whole life inside in a live mussel shell. The male fertilises her eggs by swimming inside the mussel when it opens to feed. This crab has been known to crawl out of clams served raw in French restaurants.